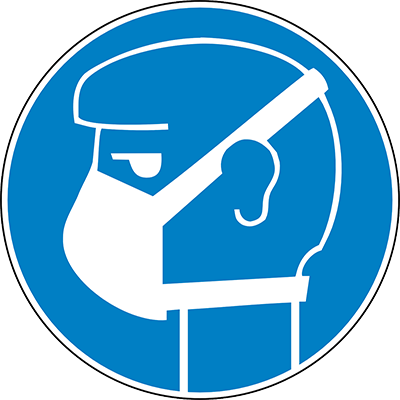 Face Fit courses are available for people who wish to manage the Respiratory Protective Equipment (RPE) and conduct in-house face fit services for their staff. Employers are required by the HSE to provide suitable RPE to their employees and have documented evidence of inspection. Employers have a legal responsibility to supply employees with Respiratory Protective Equipment if a COSHH assessment of the workplace deems it necessary. Employers must provide suitable protection if their employees are at risk of inhaling anything which could affect their health including; asbestos spores, contaminated air, chemicals, gases, other hazardous substances or when entering a confined space. REP is typically only provided for short term use and in line with other control measures, for example, exhaust ventilation systems. The reason being is that RPE can lead to communication or visual issues and has proven to be uncomfortable to wear for long durations. Workers who have to use this kind of equipment must remain clean shaven in order to ensure that the masks fit closely to the skin to avoid any potential leaks. If an employee has facial hair for a religious reason, alternative forms of RPE are available.